In 2015, Peltz argued that GE's shares could reach between $40 and $45 a share, by the end of 2017. Instead, the investment contributed significantly to Trian's less-than-stellar 3% annual return for the year through early December, a person familiar with the situation noted. Most of Trian's investments did well in 2017, such as allocations to Bank of New York and Sysco, but the GE investment was a key reason for lower returns overall. 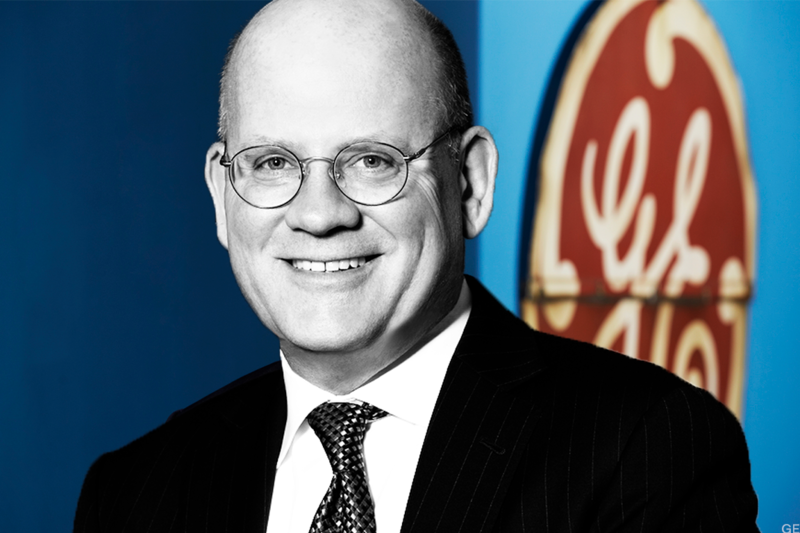 General Electric Co. (GE - Get Report) CEO John Flannery on Tuesday suggested he would "reshape" the business, a move that has many observers wondering whether the 125-year-old conglomerate will break itself up in the not-too-distant-future. The prospects of a massive break up taken together with a $6.2 billion after-tax insurance portfolio charge, however, was not met with much fanfare on Wall Street, as GE's share price fell about 3% to close Tuesday at $18.21 a share. GE was trading off again Wednesday. All this raises questions about whether shareholders will revolt, and specifically, whether the activist hedge fund at Flannery's gate, Nelson Peltz's his Trian Fund Management, may take further action. In 2015, Peltz argued in one of his signature 80-page white papers that GE's shares could reach between $40 and $45 a share, by the end of 2017. Instead, the investment contributed significantly to Trian's less-than-stellar 3% annual return for the year through early December, a person familiar with the situation noted. Most of Trian's investments did well in 2017, such as allocations to Bank of New York Mellon (BK - Get Report) and Sysco Corp. (SYY - Get Report) , but the GE investment was a key reason for lower returns overall. Nevertheless, there is a multitude of reasons why Peltz isn't likely anytime soon to launch a public campaign or director-election proxy contest to push for further change. One is that he already has a director on GE's board - the fund's persistent efforts were acknowledged in October when GE named Trian's Chief Investment Officer, Ed Garden, was appointed to the board. With Garden on as a director, a public effort is far less likely, especially since Peltz's public comments are limited. He can only agitate about what's in the public domain. When Will Apple's Stock Soar to $200 a Share? "As a self-proclaimed operational 'constructivist' I'd be surprised to see Peltz publicly agitate at this point at GE where he already has been granted a seat unless Garden's ideas are not being given due consideration by the board and he's basically being ignored," said Andrew Freedman, partner at Olshan, Frome Wolosky in New York. Another reason against further public agitation is that GE - as it considers breaking itself up - already appears to be moving in the direction that Peltz probably is seeking. Some reports suggest that GE could do something dramatic -- separate into three businesses, aviation, power and healthcare. Though some research firms produced sum-of-the-parts analysis suggesting that breaking up GE into three parts won't produce a lot of new value. For example, Deutsche Bank says it does not believe that GE is trading at a discount to its implied SOTP valuation. Even so, behind-the-scenes, expect Garden to be pushing privately for further restructuring and to ensure that some break up occurs. Activist funds often push for breaking up businesses as a catalyst for share-price improvement and Trian is no exception. Consider that Garden obtained a seat at Pentair plc (PNR - Get Report) in 2015 and worked with the company's CEO to separate the company's water and electrical businesses into two separate companies. Peltz also held a board seat at Ingersoll-Rand, which in 2013 spun off its commercial and residential securities operation. "The news that GE is considering a break-up and reviewing its strategy makes it less likely that Peltz is going to agitate unless he is firmly against that course of action and wants to challenge Flannery as CEO," Freedman added. For now, expect Peltz and shareholders to give Flannery some more time - he was only installed as GE CEO in August. Flannery, nevertheless, will have to deliver on a detailed restructuring plan by mid-year, or he could risk a shareholder rebellion. Any breakup process will likely take longer than expected given GE's mammoth size and the possibility of further liabilities emerging. Already announced, GE plans to conduct $20 billion in asset sales over the next 12 to 24 months, including divestitures of its locomotive manufacturing unit and possible, its controlling stake in the Baker Hughes (BHGE - Get Report) oil services company it acquired in 2016. At the very least, GE will be forced to either break up Bakers Hughes or reduce its stake in the business without walking away, since there may be no natural buyer for the whole position. Expect those deals and others to be completed with Peltz and Garden watching. A Trian spokeswoman declined to comment.